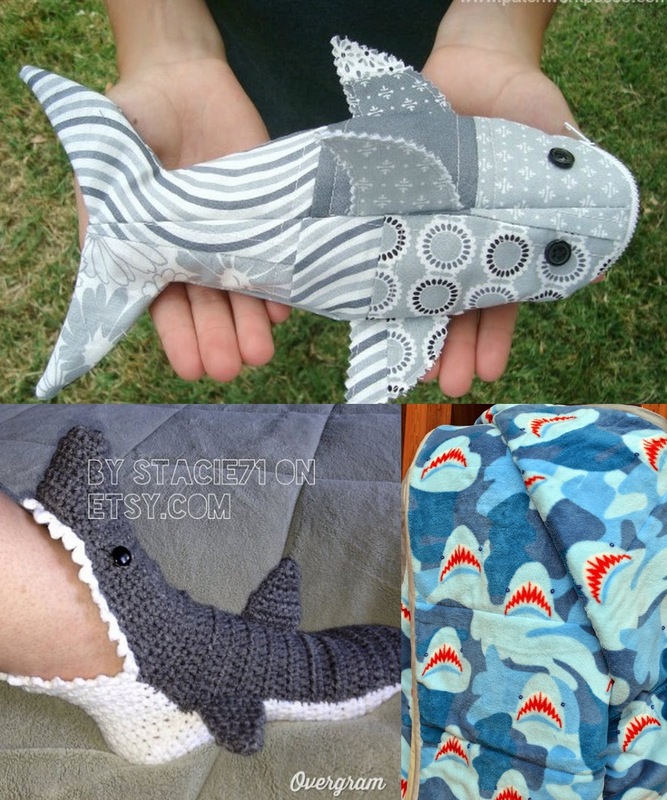 ' Shark Week: Shark DIY Crafts - Sisters, What! In case you didn't know, it's shark week. In this house shark week is every week, in the car, during dinner, and especially during bath time. Captain Awesome is always telling me "mom, drive fast like a mako shark" and when Small One (2 years old) sees a shark he says "duh.....duh...duh....duh". I think he thinks that is what they are actually called. He even does the two note changes. 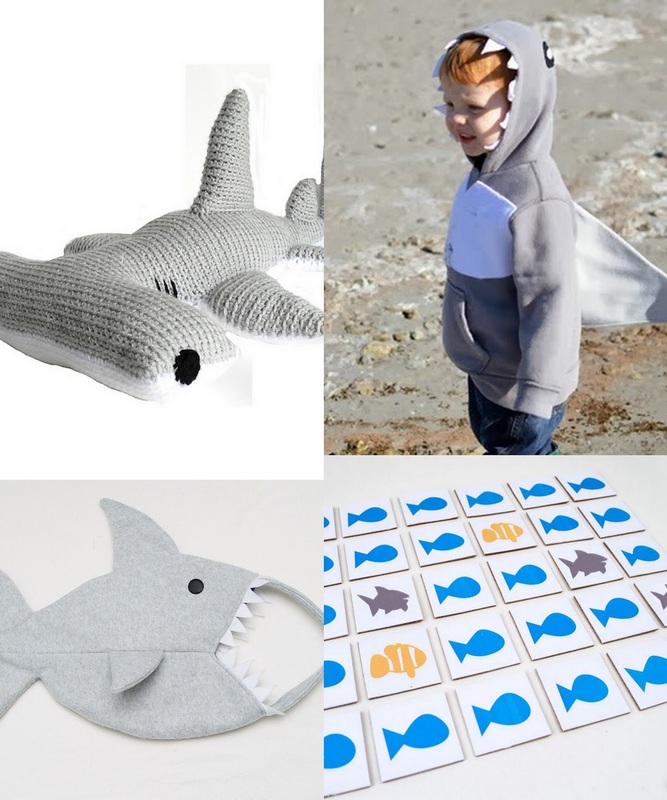 Anyway, in celebration of mans favorite scary water animal, I have rounded up some really scary shark DIY. Every time I see those shark socks, I crack up. This is a great list, thanks for sharing all your finds! !